Home » Blogs » 7GenGames » Who Were The Maya? We are launching a new game series this year called AzTech Games. 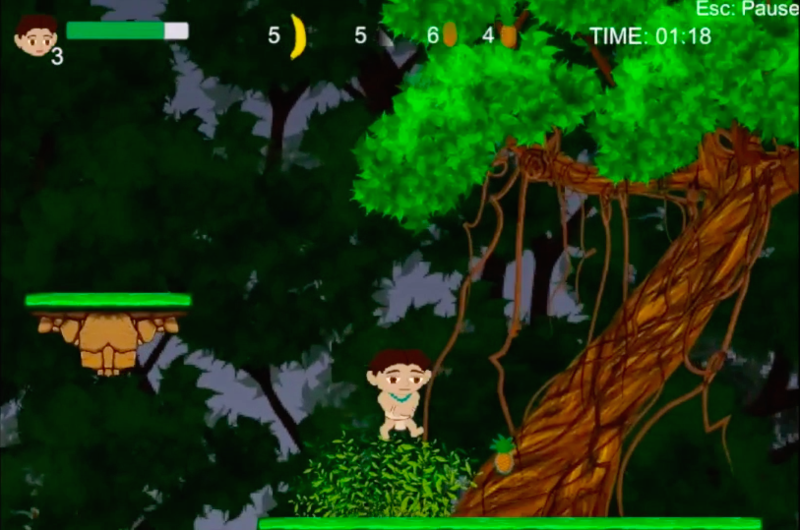 AzTech begins when two students are kidnapped and taken back in time to the Mayan empire. They need to find their way back to Iowa in 2015, learning about their history and statistics along the way. The extra cool factor about AzTech is that it will be our first bilingual game! The game, aligned to math standards in grades 5-7, focuses not only on the Aztec empire but explores elements of 1,200 years of Central American and U.S. Latino history from the Mayans to the present. But, who exactly were the Mayans and what impacts did their society leave behind that are still relevant today? Well, just like we told you about Dakota/Sioux, Ojibwe, and Aztecs, today we’ll tell you about the Maya! The Mayans were located in southern Mexico (Chiapas and Tabasco) and stretched through Belize, Guatemala, El Salvador, and western Honduras. One of the largest Mayan cities is Caracol, Belize. It’s believed around 200,000 Mayans lived in Caracol during the city’s peak. The Maya went through three different time periods, the Pre-classic, Classic, and Post-Classic. The early Mayans came about during 1800 B.C. to 250 A.D. They were big on agriculture and grew crops like corn, beans, squash, and cassava. They also demonstrated advanced cultural traits with their city construction, pyramids and the inscribing of stone monuments. The Classic period is considered to be the Mayan “golden age.” It began around 250 A.D. The Mayan empire extended to 40 cities with populations ranging anywhere between 5,000-50,000 people. It was also during this time period when they Mayans built a lot of their temples and palaces. The palaces had “a stepped pyramid shape” and were decorated with relief art and inscriptions. But, by 900 A.D. some of the Classic cities began to collapse. There are multiple reasons given for the Mayan collapse. Some scholars believe the Maya had used up the environmental resources around them making it impossible to maintain their large populations. Other scholars believe it was due to the constant warfare that existed between the competing city-states that led to the decline. The Mayans continued to exist but mainly in areas near water sources. 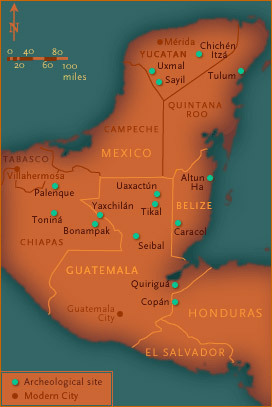 The Maya shifted from the southern lowlands to the northern lowlands. During the 12th century, the city of Mayapan rose along with new cities near the Caribbean and the Gulf coasts which allowed for the creation of new trade networks. Mayapan was also eventually abandoned by the mid-1400s, with warfare and diseases being among the main reasons. By 1511, Spanish conquistadors arrived to conquer the already declining Mayan civilization. The Maya made huge contributions to our society and many things they developed are still used today! They had an advanced writing system, but they kept their history written on cactus fiber parchment which didn’t hold up well as time passed and the Spanish settlers also tried to destroy as much of it as possible. But, they did leave behind carvings! Most importantly, Mayans were brilliant mathematicians. Did you know they’re the ones who developed the concept of the number zero? They were also gifted astronomers who reached the conclusion that a solar year is slightly more than 365 days. We all love food and many of the foods we love were also Mayan favorites. Cacao!- Cacao is what chocolate is made of and Mayans loved chocolate. They were the first ones to take the seeds of the fruit and roast them to make hot chocolate. Maize (corn)!- Corn tortillas continue to be a staple in Mexico and many Central American countries. Maize was important to Mayans because they believed the first people were created from an ear of corn. They believed that people were fundamentally made of corn dough. There’s a quick overview for you of the Mayan civilization. They were incredibly complex and intelligent. We encourage you to continue to read about them and the Aztecs. While you’re waiting for the release of AzTech, check out our other games.